I have loved rugby league since I was eight years old. Back then I was a slightly awkward, chubby, smiling child who would hold hands with my dad who would take me to Parramatta Stadium to cheer on my team, the Parramatta Eels. Clinton Schifcofske was the first player I ever fell in love with (and, to be fair, along with my dad, was probably one of the driving forces behind me picking the blue and gold in the first place). Since then, a lot has changed. But plenty of things haven’t – including my love of the footy. I’ve spent the last 22 years enthusiastically supporting the Eels, but my devotion to rugby league has gone much deeper than that. I have passionately defended the game against its detractors (particularly in relation to player misbehaviour off the field), I have done my best to draw attention to the positive work that plenty of our players do off the field and I have advocated staunchly for the recognition of and continued development of the women’s game. I do all this because I genuinely love rugby league and the people that make up the rugby league family. And it’s because of that love that I’ll continue to do all of the above. But I would be lying to all of you if I didn’t admit that after the off-season we have had this year it is getting much harder to defend the game against the increased number of detractors because I simply have no answers anymore. I’m just tired and disappointed. What’s scary is that there are still 38 days until the new season commences. Jarryd Hayne. Jack de Belin. Dylan Walker. Zane Musgrove. Liam Coleman. And now Ben Barba. All of these payers have been involved in alleged off-field incidents this off-season. Barba’s behaviour was deemed so serious that the North Queensland Cowboys felt that they had no choice but to tear up his contract immediately, before he had even played a game for the club. I applaud this strong stance and wish that other clubs responded with such conviction to player misbehaviour. This surely signals the end for a man who will go down in rugby league history as having had plenty of talent and opportunities – but he was also a man who wasted those opportunities and squandered his immense talent. If the allegations are true, despite the missed opportunities, I have no sympathy for Barba; only for his partner and his children. Many people have questioned why it has taken Todd this long to come out and make a statement like this. For many fans this is long overdue and a stance that should have been adopted a long time ago. Perhaps that’s the case, but I’m pleased that, even if a little bit late, this stance has finally been taken. Enough is enough. I’ve heard Todd speak on several occasions and what always strikes me about him is that he is someone who likes to believe the best in people and recognises the transformative ability of our game. He is a man who believes in second chances and potentially this has influenced the NRL‘s prior stance in relation to players who have done the wrong thing off the field. Todd recognises that there are men playing our game who have had challenging upbringings – some so challenging in fact that it would be hard for many of us to process. This is not an excuse; it’s simply recognition of the reality that for many of the players, were they not playing footy, their lives would be radically different. Some could potentially be in jail. Some would not be working. Some would be struggling to make ends meet. Not all of our players have had the benefit of an easy childhood and plenty have fought very hard to chase their dream to play footy. I know that Todd has spoken with pride about the positive steps Russell Packer has taken to change his life and this is supported by Wests Tigers chairperson Marina Go. He has also spoken in this manner about Blake Ferguson. Rugby league gave these men a second chance. But maybe it’s time for rugby league to stop being so forgiving, because the message does not seem to be getting through that these alleged behaviours are unacceptable. Following this off season there is no more room for patience unless we as a game want to continue to alienate our fans and members and give people a reason to choose another sport. But for our game drawing the line in the sand is the easy part. 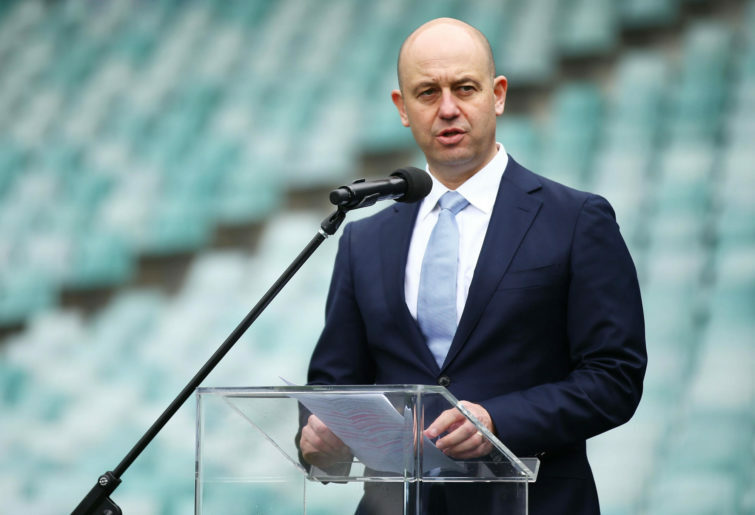 The hard part will be ensuring that the game sticks to its guns and that the clubs support the stance that the NRL is taking. Winning may often be viewed as the most important thing, but what I expect from my game first and foremost is that the men and women involved in the game are men and women that I can be proud of – on and off the field.